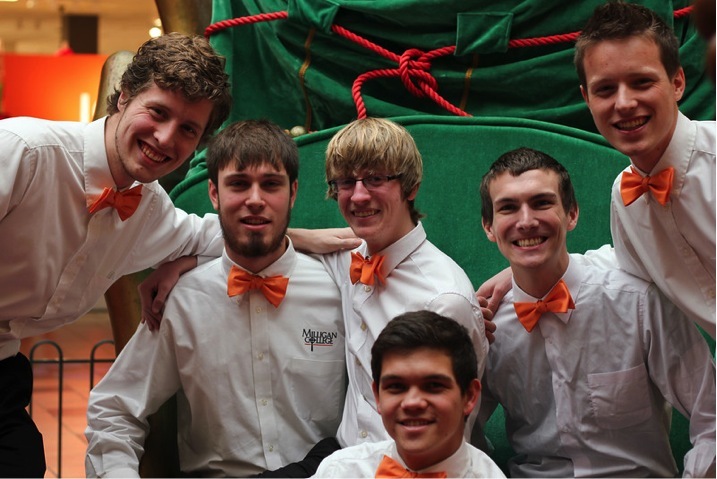 There are numerous vocal and instrumental opportunities to be involved musically at Milligan. 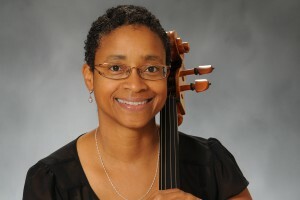 Milligan’s music faculty consists of knowledgeable and experienced musicians as well as dedicated and caring educators. Scholarships are available for students studying music performance, music education, musical theatre, or music business. Music at Milligan produces life-long learners and lovers of music, as well as accomplished performers. Milligan’s music faculty consists of knowledgeable and experienced musicians who also are dedicated and caring educators whose focus is helping students achieve their musical goals. Students can pursue music in a variety of degree programs such as education, performance, and music business, or elect music courses to enrich their liberal arts education. Students perform and tour with numerous ensembles, orchestras, and choirs and present an exciting array of recitals and concerts each year. They present world premieres and perform with internationally-renowned composers and musicians in addition to collaborating with regional symphonies and participating in professional field work experiences such as at the Contemporary Music Center in Nashville. Milligan music graduates teach at all levels of music education, conduct professional music organizations, teach studio music, perform professionally, and serve in music ministry positions. Graduates of the music area have pursued further music studies at institutions throughout the United States and abroad. View all details and course requirements for this program in the Milligan College Catalog (links above). The Milligan College academic catalog is the official, authoritative source for all academic requirements and policies. Any discrepancies in curricular requirements from other sources will default to the Catalog. 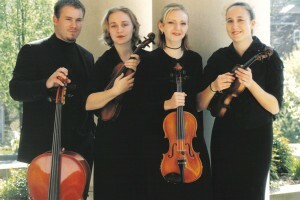 Find out about all of the music and arts events, most of which are free and open to the public, at www.milligan.edu/arts. 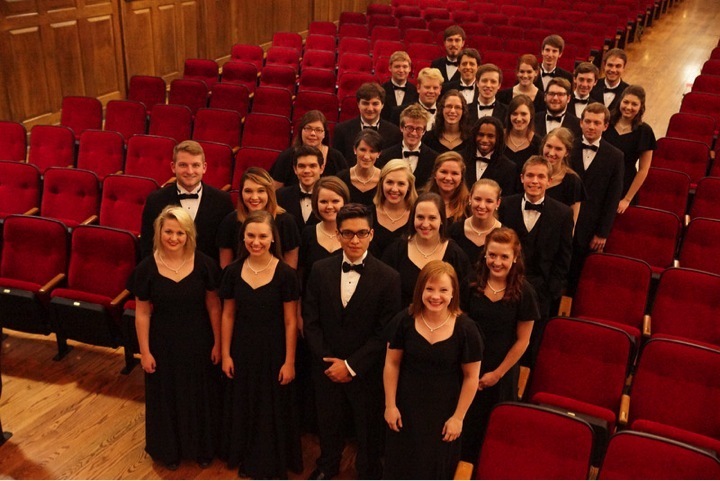 The Milligan College Concert Choir is an auditioned ensemble that proudly upholds a long tradition of choral excellence within the Christian liberal arts context of the college. In the past, the choir has performed at the invitation of the President at the National Prayer Breakfast and also on international tours to England and Mexico. In addition, the choir has been invited to sing at the North American Christian Convention, the Conference on World Evangelism-National Missionary Convention, and at the Tennessee State Conference of the American Choral Directors’ Association. 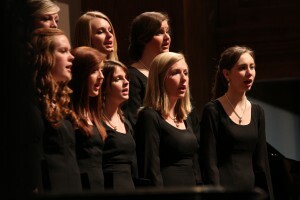 In recent years, the choir has maintained an active performance schedule on campus and throughout Northeast Tennessee. Also, the choir travels frequently throughout the United States, with recent tours to Washington, D.C., and the mid-Atlantic as well as Chicago and the Midwest. 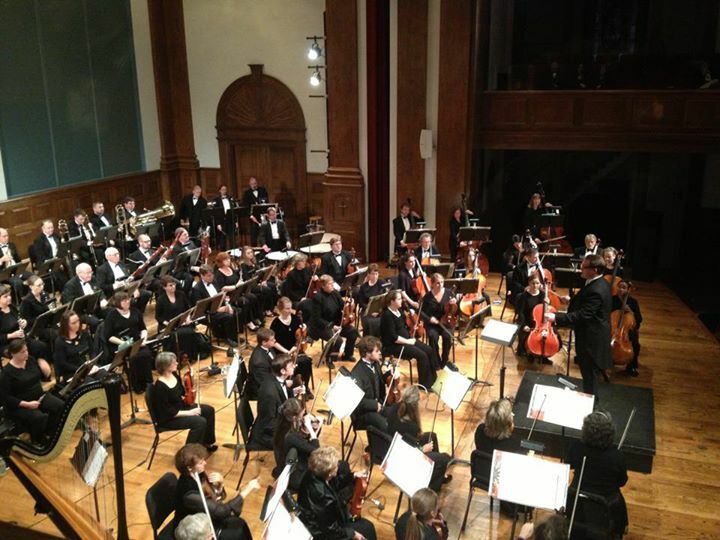 In addition, the choir regularly collaborates with the Milligan College Orchestra, the Johnson City Symphony Orchestra, and the Symphony of the Mountains. 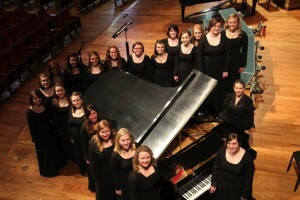 Milligan Women’s Chorale is a women’s ensemble singing various styles of music and performing on and off campus. 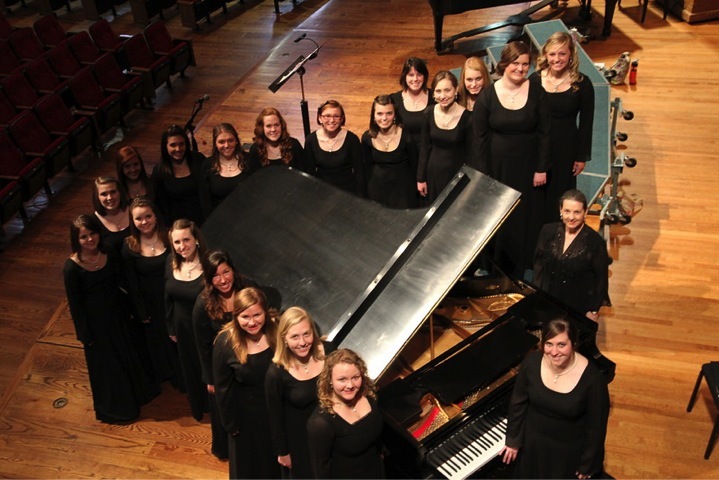 Continuing in Milligan’s strong tradition of women’s vocal ensembles, the Milligan Women’s Chorale was founded in Fall 2008. The chorale performs literature of different styles ranging from sacred to popular. 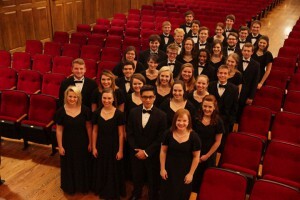 The chorale performs for churches and various organizations in the Tri-Cities area. The ensemble is open to all female students. The Milligan College Orchestra performs throughout East Tennessee and Southwest Virginia and collaborates frequently with professional ensembles and arts organizations, including The Civic Chorale, the Johnson City Symphony Orchestra, the East Tennessee Regional Symphony, Mountain Empire Children’s Choir Academy, and the City Youth Ballet. 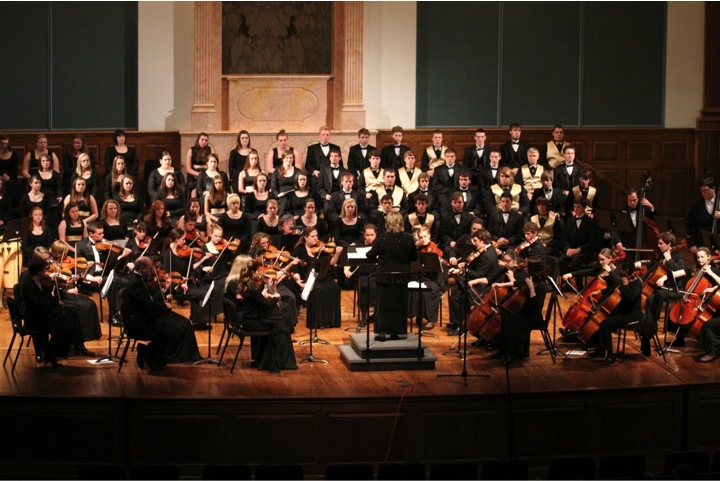 In addition, MCO is the pit orchestra for various opera and musical productions at Milligan College and serves local churches in ministry. The orchestra also champions new works and has performed the world premieres of numerous pieces including Three Genres by John Grubb and Genesis by internationally renowned composer Kenton Coe. 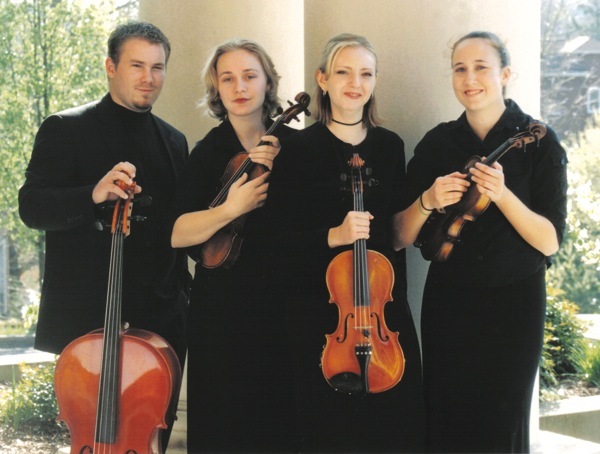 The Milligan College String Quartet is an auditioned chamber group featuring the college’s premier string players. 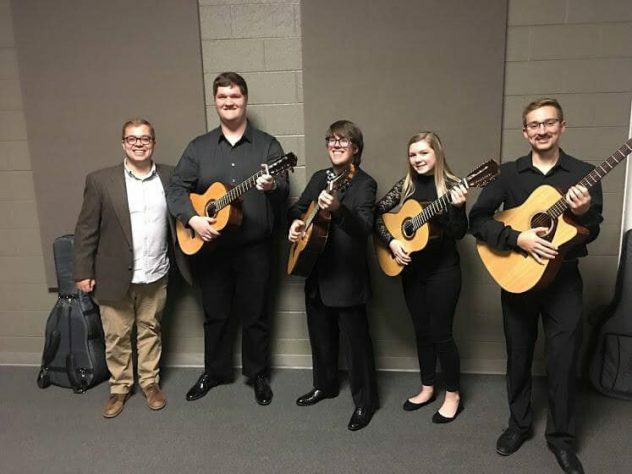 In addition to performing frequently on Milligan’s campus, this group is also featured throughout East Tennessee and Southwest Virginia. Civic Band provides students a performance opportunity with the Johnson City Community Concert Band. 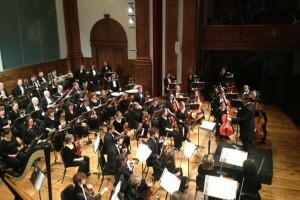 The Johnson City Symphony Orchestra provides students an opportunity to perform with a community orchestra. 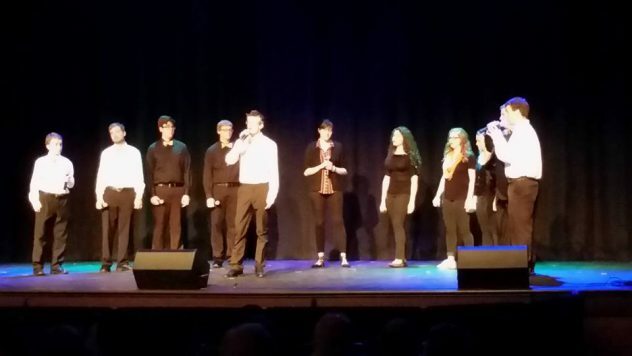 Heritage is select a cappella ensemble of eight singers that maintains an active travel and performance schedule. The group, which was founded in 1983, frequently represents the college at churches, civic organizations, and college functions. Specializing in a wide variety of a cappella music, the group performs everything from modern worship music to Broadway, pop a cappella, spirituals, and vocal jazz. Contact Kit Dotson to book Heritage to perform at your church or organization. Herd Mentality is an elite, auditioned men’s a cappella ensemble. They began in 2007 with barbershop and gospel, and now also sing jazz, be-bop, some early music, and traditional men’s glee. They sing for churches, various organizations and functions and sell Singing Valentines every February 14. We are delighted that you are interested in auditioning for a Music Performance Scholarship at Milligan. 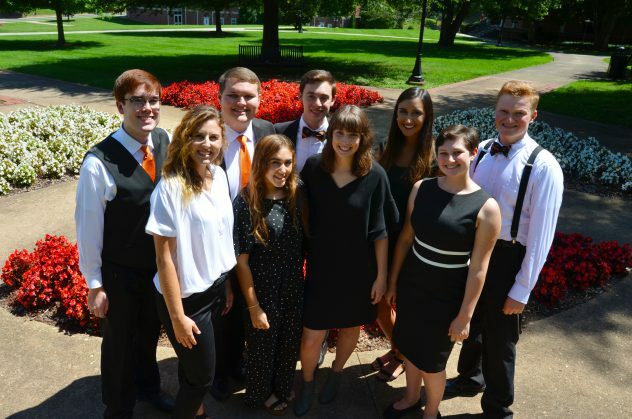 The Music Program at Milligan awards several talent-based performance scholarships each year to incoming freshmen, regardless of their intended major. The Music Performance Scholarship is a competitive, renewable scholarship awarded to a limited number of students each year who exhibit excellent performance ability and potential as identified through audition. The award amount is determined by a combination of the student’s audition results, ensemble needs, and funding availability. Performance Scholarships are available for concert choir, orchestra, women’s chorale, Heard Mentality, and musical theatre. For priority consideration, applicants seeking music scholarships should be admitted to Milligan College by December 1 and audition by the end of February. Music scholarships are renewable for a total of four years enrollment and require full-time enrollment during fall and spring semesters. 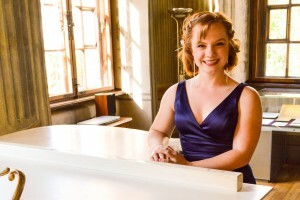 Scholarship recipients are required to maintain academic standards, take studio lessons on their major instrument or voice, and participate in ensembles or serve as accompanists as stipulated by their scholarship award contract. Complete your admissions application to Milligan. Contact Rita Myers, music secretary, at 423.461.8723 or rmyers@milligan.edu, to schedule an audition time AFTER you have completed the above processes (application and music form). See audition details below. The music audition is a time to showcase your talent and hard work to the music faculty and to be considered for scholarship awards. Auditions are formal events in which we want to hear two of your most polished pieces and have a brief interview with you. The two audition pieces should be of contrasting style (Ex. Bach and Schumann; art song and musical theater, etc.) and should be chosen from standard repertoire (see specifics below). Accompanists will be provided for vocalists (no pre-recorded accompaniment is allowed). Instrumentalists will perform unaccompanied. Click here for musical theatre audition requirements. The overall impression is important so please dress as you would for a recital or special school performance. We prefer that you audition in person, but if a personal audition is not possible, you may audition by DVD or YouTube link. Prospective Organists should perform a hymn, as you would play it for a congregation to sing, including introduction and all stanzas. You will also perform at least two other organ selections, and one selection to play on the piano. All scholarship awards from the Music Program become part of the total institutional package offered by the college to the student. Other college scholarship and financial aid opportunities can be found at www.milligan.edu/SFS.